I had one of those moments this week that made me want to Michelle Obama all over the nasties. I’m choosing to go high today and tomorrow. Much like some other bullies that crave the limelight, I’m not even going to give them the satisfaction of knowing it was them. Inspired by my low blow (which incidentally had nothing to do with writing), I’m going to build some people up that I think are doing some awesome work. I’m not going to stop there. Instead of shame the people who’ve done me wrong, I have decided to create a monthly post devoted to building people up. Instead of tearing people down – let’s take the time to acknowledge people do something well. Welcome to the first instalment of the Make it Peachy, Top Ten Awesome Humans of the Month. This month, I’m starting with what I know. Writers and writing blogs. These are the bloggers that in my mind are generous with their advice, informative with their content and encouraging to all those out there struggling to make a living in this industry. As we are all aware, the internet is flooded with content. 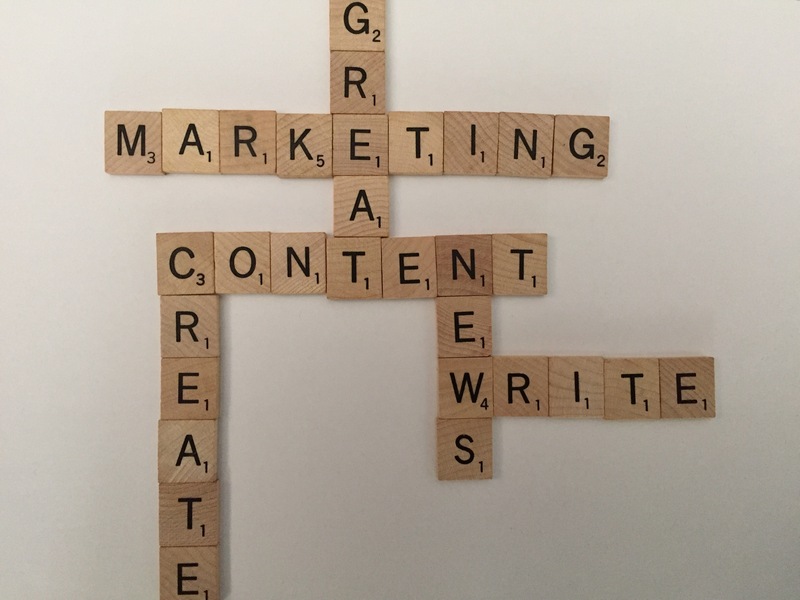 Rifling through the clever marketers to find the useful content is a job in itself. As writers, we are always struggling with the challenge of creating genuinely helpful and engaging content, and pandering to what we think our audiences are looking for. Write To Done is one of my favourite places for tangible and useful writing tips. Their contributors are generally established bloggers and experienced writers, so the advice is well thought out and as they put it ‘insanely useful’. Whether you are a creative writer, struggling to find your voice or a content editor searching for content marketing tips, these guys have it all. The thing I love about Thought Catalog, is its unflinching enthusiasm for writing and writers. Thought Catalog is an online magazine, designed specifically for creating a platform for young and emerging writers. They want you to contribute and they want you to be good. The reason I love them is not necessarily because I love every article (although they are usually engaging and entertaining), but because of their mission. Thought Catalog exists entirely to encourage creativity in others and that ought to be applauded. Jeff Goins seems to top every top list for writers’ blogs I’ve found. He’s a successful author and is using his blog to share his experience and advice. Again, his focus is on building others up, rather than climbing over the fallen below him to reach the top. He fosters creativity with his range of blog posts, webinars and podcasts, with palpable tips that anyone, entering this or any other creative field can embrace. The Write life is such a great resource. Whether you’re a freelancer, aspiring author, content marketer or a combination of all three, this is a site that has some brilliant articles. In fact, for those looking for the web’s most useful writing websites, you can’t look past the Write Life’s 100 best websites for writers in 2017. Their content is always being updated so you know the content you find will be current and valuable. For writers struggling with writers’ block or confidence, this is a fantastic website. They have daily writing exercises to keep your talent trained as well as training and tutorials for those wanting to work on their craft. They have some super useful advice around editing and writing tools and can walk you through the scary prospect of building an audience on social media platforms like twitter. Helmed by Bryan Hutchinson, Positive Writer is exactly as it sounds. It’s a wonderfully optimistic blog that is designed to build confidence and positivity in the doubtful minds of aspiring writers. This guy has chosen to create a site specifically designed to make you feel good about yourself and your craft. Awesome! Like Jeff Goins, he is a successful author and it’s heartening to see someone wishing success on others. Sure, he is building his brand at the same time. But you know what? We all are. At least he is doing it in a way that lifts people up with him. This is a forum for writers and editors to give back. Using their experience, contributors are invited to share their stories, and advice for those creeping up behind them. In fact, contributors are rewarded with a bio page when they submit more than one article to the website. For writers who just have no idea where to start, Every Writer is fantastic. They even have the largest free searchable book publisher listing online. These guys are the content marketing gurus. Grown from a sole blogger, this site walks the talk. They have built their audience organically through engaging content and useful tips. But rather than keeping those marketing secrets to themselves, the team at the now named Rainmaker Digital want to share, educate and train others to benefit from their industry knowledge. Like all our picks, they genuinely want you to succeed as much as they have. Writers Helping Writers is designed for the writer by the writer. Their focus is around fostering emerging talent and helping them hone their skills and find a way into the industry. It is run by passionate writers who, themselves were once struggling to find their place and now gratefully want to show others the path they took. While their focus is for writers aiming to become published authors, the resources they offer are super useful for anyone interested in content producing. My final pick marks number 10 of so many wonderful blogs, websites and online resources for writers. Daily Writing Tips is a great place to find tips, prompts and exercises. The difference between these guys and the above is that Daily Writing Tips are designed to help everyone, including those, not familiar or comfortable with writing. Their advice is solid and their intention altruistic. This is just a drop in the ocean when it comes to amazing writers’ content online. There are so many wonderfully talented writers and writing trainers around the world, offering extraordinary content and I plan to start a list, so please let me know any bloggers or websites you think are useful for writers. The thing is – there are some incredibly sad, stressful and terrifying things happening in this world. I refuse to let those things/people win. Once a month I am going to list my favourite people/resources in the fields I am exposed to. Let’s unite and build each other up. Creating engaging, enticing and relevant content can be incredibly overwhelming, especially if you don’t know where to start. Well, I am going to share a little secret with you. You, too, can create newsworthy copy, that people want to read. Those of us who trained in the art of writing were all given a cheat sheet; constantly there to remind us what is news. Let’s take a look at the seven pillars of newsworthiness and how you can make your digital copy newsworthy too. Even when you are creating marketing material for your clients and potential clients, these pillars will ensure your content is on point. Timeliness – When did it happen? In a generation of instant gratification; we want what we want and we want it now! When you create your content, bear this in mind at all times. Is there a NEW campaign? A NEW product? A NEW Service? Is there a way you can make it NEW? If you publish new content on a regular basis you can guarantee that you always have timely news to offer your readers. Proximity – Where did it happen? People are generally interested in news that is local. People are often emotionally absorbed by events that are close to them. The tragedy in their local town is a greater tragedy; the local celebration is all the more exciting. How can you make your content ‘local’? Focus and direct your material to localized groups. Change your content to appeal to each group at a personal level. One of the many extraordinary things about living in the digital age is that proximity is constantly evolving. As our connection with the rest of the world is consistently strengthened, so too is our ability to reach a wider ‘local’ audience. By personalising your content to meet the needs or interests of your intended audience your news is in closer proximity to them. Rarity – How unique is it? This is a particularly significant point when dealing with digital content. The web is absolutely saturated with content marketing, brand news and ‘exciting new offerings’. The only way to stand out is to find a way to make your content unique. Why is your product different from the next? What makes you or your service special? Exclusivity is terribly appealing to people, they want to know that they’ve got something that other people don’t. Prominence – Who’s involved with it? So many of us are seduced by fame. Whether it is the latest celebrity endorsing the latest product or an industry authority promoting a theoretical approach, others influence us. Gaining respect in your field is a very important part of adding validity to your work. People want to hear from industry trailblazers who are taking risks and know what’s going on. Join the conversation. Follow the right people. Align your service or product with someone or something that already has the name, respect and prominence. Impact – How does it affect me, and others I respect? News is interesting because it changes something. Perhaps it changes the environmental landscape, or the financial landscape or even the entertainment landscape. Someone or something is always affected. Before creating your content, think about how your content will impact your customers, your industry or the world. Each piece of content you publish should illustrate this change. If it does not – you really need to question whether the material has the desired impact. Novelty – Why is it interesting? You can make any piece of writing just a little more engaging by linking it back to something extraordinary. Maybe there’s a holiday coming up, like Black Friday or Christmas, or even an event that is unique to your company. Coming up with a unique approach is key to great news and great marketing. If you’re trying to push your brand or service, think about how you can link your material to something cool, random or relevant. Human Interest – How do I feel about it? Turn your marketing material into a story about people. Not for profit organisations are notoriously good at creating emotive and heart wrenching stories to entice their donors. Why not take a page out of their book? Tell a story; how did your product or service help Jo Next Door to realize her dream. Pull on the heartstrings and give your audience some human interest.